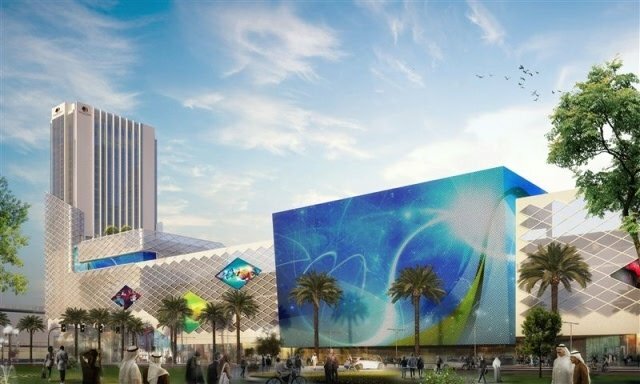 Nakheel Malls has kicked off its 2017 growth plan by signing Middle East retail giant Alshaya for 25 brands across 100,000 square feet of shop space at the upcoming Al Khail Avenue mall at Jumeirah Village in Dubai. Alshaya’s most popular fashion, lifestyle and food brands – including Debenhams, H&M, Mothercare, Muji, Foot Locker, American Eagle Outfitters, Boots, P.F. Chang’s and IHOP – will join Al Khail Avenue’s fast-growing collection of shops, restaurants, café and services. The new collaboration reinforces Nakheel’s long-standing relationship with Alshaya, which already has extensive retail space at Ibn Battuta Mall and is exploring further opportunities at other Nakheel retail developments. Al Khail Avenue, currently under construction along Dubai’s Al Khail Road on the eastern edge of Nakheel’s Jumeirah Village Triangle community, has 1.2 million sq ft of retail space containing 350 shops, a 14-screen cinema complex and a wide range of dining outlets. The mall, which will be attached to a 256-room hotel, is set for completion in 2018. More than 75 per cent of shop space at Al Khail Avenue is now booked, with more deals in the pipeline. Dubai’s Landmark Group and Al Tayer Group are also confirmed, occupying almost 275,000 sq ft between them through brands such as Home Centre, Centrepoint, Reiss, Fun City, Gap, Banana Republic and Mamas & Papas. Waitrose and Reel Cinemas are also signed up. Omar Khoory, Director of Nakheel Malls, said: “We are delighted to further cement our long-standing partnership with Alshaya by welcoming them to Al Khail Avenue. “Al Khail Avenue is a magnet for some of the biggest names in shopping, dining and entertainment, and our latest collaboration with Alshaya proves that retail space continues to be very much in demand from both an industry and consumer perspective. In August last year, Nakheel confirmed that it would add a 256-room hotel, to be managed by Hilton under the DoubleTree by Hilton brand, to Al Khail Avenue. Construction on the mall/hotel complex began in September 2016. Nakheel’s retail project portfolio is set to become the biggest in the UAE, with over 17 million sq ft of leasable space in operation or under development. Malls in operation include Ibn Battuta, Dragon Mart 1 and 2 and Golden Mile Galleria, with several others across Dubai at various stages of construction or development.